Hello, everyone! Any fellow organologists (other than Radiance) here? I've been quite interested in uncommon or downright obscure instruments and timbres for some time now, and I thought that I'd start a series, once a week on Tuesdays, where I showcase 10 unique instruments, along with a brief description and hornbostel-sachs classification of them. I really want this series to open people up to the strange, wonderful sounds that music can create, as well as possibly even encourage people to make their own music like this. I'll also be taking suggestions for each week in the comments below, so, if you have any instruments you'd like me to showcase on the top of these threads, feel free to comment below and I might pick the instrument to showcase in my next thread, along with giving you credit for the suggestion, of course. 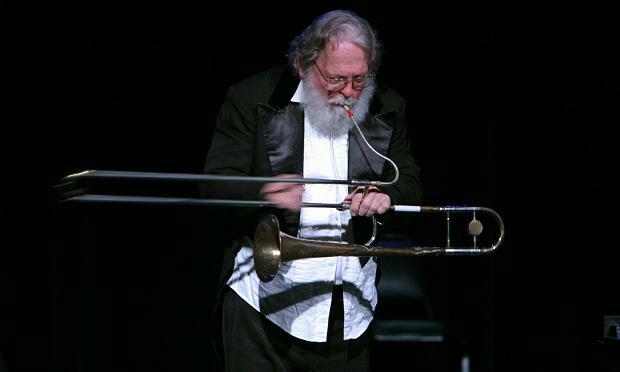 The tromboon is a parody instrument invented by composer Peter Schickele, known by his pen name P.D.Q., or "Pretty damned quick", Bach. The instrument is built my inserting the reed and bocal of a Bassoon in place of the trombone's mouthpiece to create a unique and distinctive sound, due to the combination of reeds and slides. The sound quality can best be described as being comedic and blaringly loud, and I highly suggest you go check out a clip of the instrument being played for quite a good laugh. The instrument is described by Schickele as "A hybrid - that's the nicer word - constructed from the parts of a bassoon and a trombone; it has all of the disadvantages of both." The Stroh Violin was invented by John Matthias Augustus Stroh, an electrical engineer in london, and is essentially a standard violin with a horn as the resonating body as opposed to the wooden body of the traditional violin. Because of the horn, Stroh Violins are exponentially louder than their standard counterparts, and, due to the directional movement of the sound, were very useful in early phonographic recordings. Because of this brighter, louder sound, early recordings of violin used a Stroh as opposed to the standard violin, due to the fuller pickup on the microphone, and the violin is still used today, primarily for more folk-related music as opposed to being played in a concert setting, where the sound would simply be unnecessary. The Baryton was an obscure instrument played by Prince Nikolaus Esterhazy, and primarily composed by Joseph Haydn. You see, Haydn worked for Esterhazy as the royal musician at the time, and Esterhazy constantly asked Haydn to compose for this instrument. Because of this, Haydn ended up writing an impressive 175 pieces for the Baryton, 126 of which being Violin, Cello, and Baryton trios. 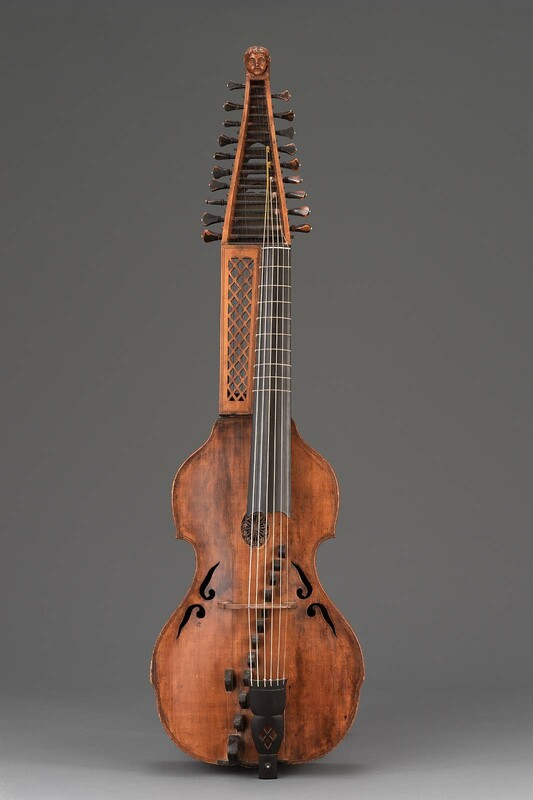 The instrument is essentially a bass viol, an early instrument tuned like a lute with 6 strings and bowed, with an extra set of harp strings on the back of the instrument neck, meant to be plucked or strummed. Unfortunately, the instrument never really caught on, and it has since been lost into obscurity, with modern reproductions of the instrument being rare. The Aquaggaswack is quite an odd percussion instrument, with two versions of the instrument being present; the 18 tone version, and the 29 tone version, of which the latter includes quarter tones and nearly an octave of difference between the notes. While the inner lids have a more "bell-like" tone, the outer lids have a more "gong-like" tone, all suspended on galvanized plumbing pipe. The pot lids were given to the creator by friends or bought at thrift stores, and the instrument has also included, at one point: a cymbal, jingle bells, a cowbell with a clacker, and a mine cylinder. The Ophicleide was the successor of the serpent, an instrument that was used commonly in Italy whose use preceded the use of the modern tuba today. The Ophicleide's successors could be thought of as the Tuba and the Euphonium, although the construction of this instrument is different from either instrument. The Ophicleide has a brass mouthpiece and keys much like the later saxophone, and was used by Hector Berlioz in his Symphonie Fantastique. The instrument had an unpredictable sound and was often found as unwieldy and difficult to play, much like the serpent, so a famous doggerel was written about it, infamously roasting the instrument as one of the worst things ever pretty much. The Hyperbass Flute is the largest instrument in the flute family, and... yeah, you can easily see why. Its lowest note is so low that it stands beyond the standard range of human hearing, a C0, one octave below the lowest c on a standard piano. The flute is made of PVC pipe and wood, and wide tone holes are covered with the palms of the hand. As of now, not many people record for hyperbass flute; one man, a Robert Fabbriciani, has, indeed, recorded for the instrument on several albums. The first fully chromatic version of the flute was commissioned in 2010 by low flute specialist Peter Sheridan. The Double-Belled Euphonium looks like something right out of a Dr. Seuss book, and it's clear to see why. 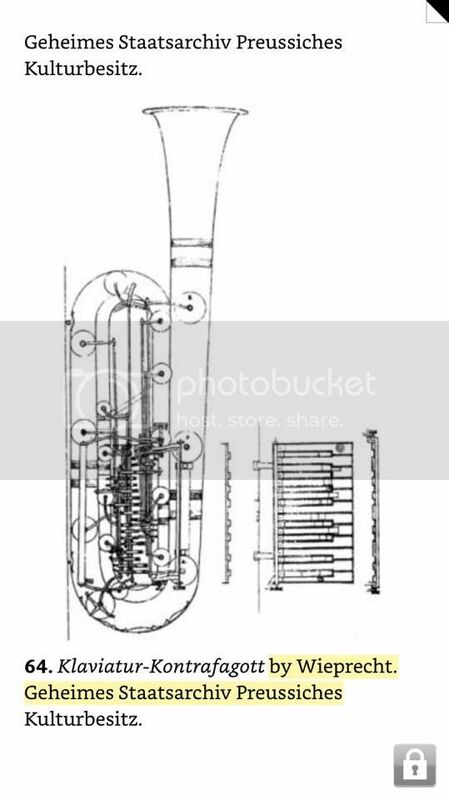 It has a second bell present, which, with the pushing of a special valve on the instrument, changes the timbre of the entire thing, changing from a conical euphonium bell to a cylindrical baritone bell (pretty much euphonium-trombone sound). Pretty cool, huh? The Hydraulophone is an instrument that uses the power of hydraulics through water to create sound, and is responsible for creating a new classification of the hornbostel-sachs system that has yet to be official. The way it produces its sound, unlike in aerophones, involves water, and thus it is supremely unique in its design. These are often present at children's waterparks to get children to make music and have fun, but they have also been built for concert use, in indoor settings and outdoor settings, where the hydraulophone can be veiled in a hot tub to keep the performer and the instrument warm in the cold weather! The Cimbasso is a brass instrument that has all of the qualities of a tuba sound and a trombone sound, going from warm and round to bright and menacing in seconds. The instrument is commonly played within the ranges of the contrabass trombone or the tuba, and can have three to six valves. The instrument is slung over the shoulder and stood on the ground, and has been written for by Verdi and Puccini. Oh, let me find my Bassoon history book. There's all kind of funky instruments described in that book, especially from the Renaissance through 19th century. I even recall seeing a tuba-like instrument (except I think it was reeded?) with keywork like that of a keyboard. There's one really neat instrument I can mention off the top of my head, though. The Rackett. The picture above is of what is sometimes called a "Bassoon Rackett", which has the bell like a bassoon. I love the sound of the Rackett! The first recording of it I heard was of a rackett group, and I thought that the instrument was multiphonic xD Honestly, I never knew much about it, but I'll include it in Tuesday's edition! The tuba-like description by me is a shallow assessment from my remembrance of the appearance. It's more related to the contrabassoon. In fact, in English, it is called the "keyboard contrabassoon". This page is taken from a book called "The Bassoon" by James B. Kopp. There's a whole 'chapter' on strange instruments from the 19th century or so when much experimentation was going on with the contrabassoon. Hmm, I'll definitely have to feature that next week! So, it's like a melodica that uses the instrument horn to blow air through the keys? Except the air is blown by a double reed as opposed to a hose? That is so interesting, you've truly shown me something I've never seen before. And I've memorized hundreds of instruments.